The Landor Pub has become a thriving haven for South Londoners wanting to escape the whirlwind of cocktail bars, basement venues and chain pubs in the area. 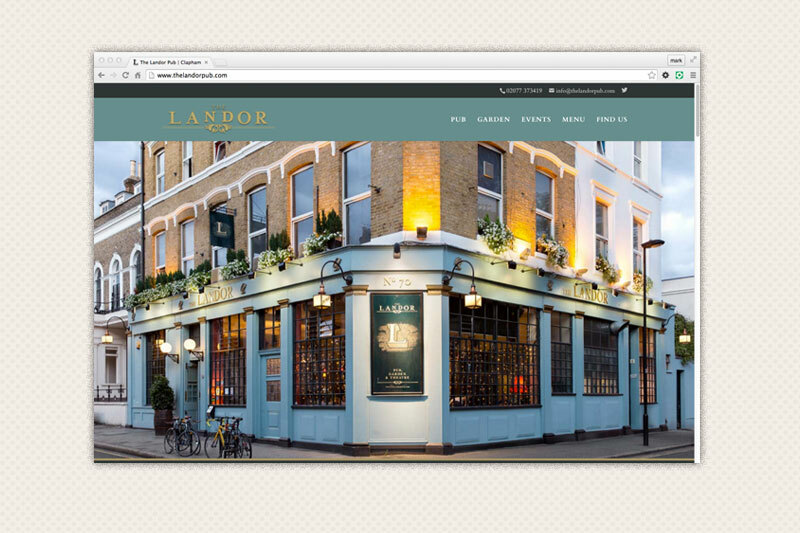 Having recently had a renovation to it’s exterior, The Landor needed a new imagery led site to show off it’s many features. The website is a custom built WordPress site which allows the client to keep their events and menu areas up to date and accurate themselves. The website is coded to be fully responsive, reformatting itself automatically to display correctly across desktops, tablets and mobiles.